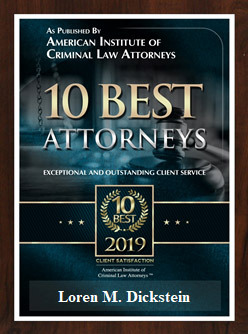 If you are searching for “top criminal attorneys near me,” it is safe to say that you need help and are searching for the best criminal defense attorney to help you. Finding a top attorney can be a confusing task, especially when you are under stress and anxious about a possible criminal conviction. Location is a factor in choosing a criminal attorney; however, the address of the lawyer is not as important as the quality of the lawyer. Despite a common misconception, prosecutors and judges offer the best deals to criminal attorneys who are the most experienced, skilled, and most importantly, a credible threat in court. Defense attorneys who hang out with prosecutors are generally unwilling to put up a fight to get the best outcome for their clients and often defer to a mediocre deal to keep a friendly relationship. Lawyers who are known for winning get the most favorable plea bargains and in the event of a trial, give you the best chance of winning. What to look for in a top criminal attorney? can patiently listen and communicate. One of the most important considerations is to only hire someone who is a specialist in criminal defense. This means an attorney who only handles criminal cases and doesn’t handle multiple areas of the law (family law, real estate, estate planning, probate, etc…). Just as there is a range of lawyers with various levels of experience and effectiveness, there is an equally varied range of prices for criminal attorneys handling felony and misdemeanor cases. Anyone who has heard the expression, “you get what you pay for,” would understand that legal fees for a very experienced and specialized attorney will be different than that for a less experienced, general practice lawyer. A different way to look at this question is, “how much will it cost not to hire a very good attorney?” A criminal conviction can result in loss of employment, inability to get work or get a raise, loss of a professional license, removal from the United States or inability to re-enter the US, loss of custody, damage to your reputation, and more. What is the personal cost to you in not obtaining the best possible result? If you are searching for a top attorney, you should take the time to talk with a member of The Defense Team with LEWIS & DICKSTEIN, P.L.L.C. We have a team of attorneys who collaborate with each other to achieve extraordinary results. 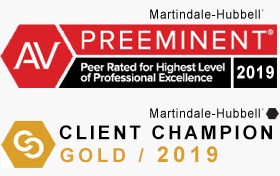 Our reputation for unparalleled success reflects the tireless, fearless and tenacious commitment we make to all of our clients. Call (248) 263-6800 today for a free consultation or complete a Request for Assistance Form and we will promptly contact you.